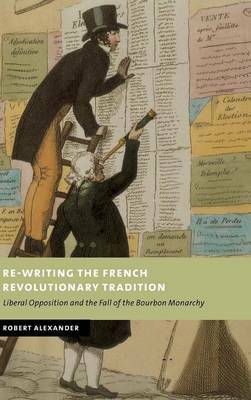 This book examines the politics of the French Revolutionary tradition during the Bourbon Restoration and early July Monarchy. Robert Alexander argues that political change was achieved by legal grassroots organization and persuasion - rather than by the revolutionary tradition of conspiracy and armed insurrection. Moreover, political struggle was not confined to the elite, as common material values linked the electorate to those deprived of the power to vote. Battle between advocates of national and royal sovereignty constituted the principal dynamic of the period, and fostered significant developments in party formation previously unrecognized by historians. To substantiate his claims, the author analyses relations among the Liberal Opposition, ultraroyalists and the state, concluding that although Liberals triumphed in the 1830 Revolution, thereafter they contributed to the destabilization that produced an immobile Orleanist regime. Nevertheless, they had pioneered a model for change which could successfully adapt pursuit of reform to longing for civil order.